This three bedroom holiday home is retro and full of character! It has a private section in the centre of town with plenty of space for parking and the boat. Just a short stroll from shops, restaurants, cafes and the lakefront. The lounge/dining area looks out to the snow capped mountains and features a heat pump and a fireplace. A great place for a family getaway and the location is hard to beat! Fabulous location in central Wanaka. 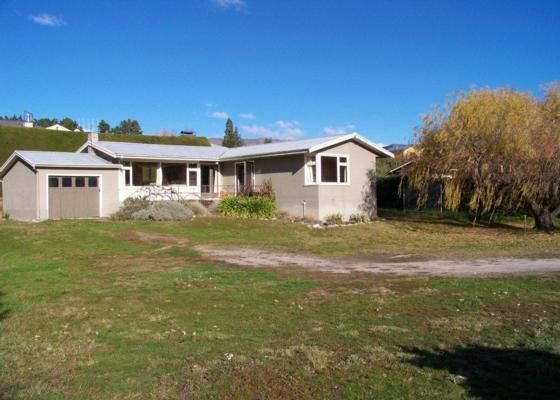 Fabulous location in central Wanaka. The house is cosy, clean and the perfect place for a family holiday. Sweet bach in a perfect location. Sweet bach in a perfect location. It had everything we needed and was very clean and comfortable. We had a great time and would definitely rent again. Older style but very comfortable holiday accommodation - tidy and well located within easy walking distance of all services/amenities. Great location. All we needed very clean. Greatand clean little house with everything we needed, and so close to town! Greatand clean little house with everything we needed, and so close to town! Just a couple minutes walk away from the village. It's also very handy to Cardrona and tc. The electric blankets were awesome on cold nights, and the fire made for great atmosphere. We would definitely stay again!